Pallikaranai is a fresh water swamp adjacent to the Bay of Bengal situated 22 kilometers to the south of Chennai. It is another fast-developing urban area in Chennai. The place was merged with Chennai Metropolitan Corporation in 2011. It has an average literacy rate of 74%, higher than the National average of 59.5%. It was in the year 1994 Most Rev. 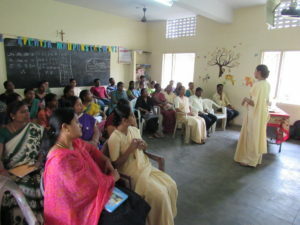 Arul Das James, Archbishop of Madras – Mylapore invited Ursuline Franciscan Sisters to the Archdiocese. The then Superior General Rev. Sr Edilburga with a great vision of extending the mission sent Sisters Edwina Saldanha, Bridgit and Milly D’ Souza to Pallikarnai in Velacheri. They involved themselves in social work, pastoral work and youth ministry staying in a rented house. Having studied the local situation, the Sisters decided to go for holistic development of the marginalized through promoting literacy. Rev. Fr Vijay Kiran and Rev. Fr Vincent Monteiro, brother of Sr Edilburga Monteiro were instrumental in buying a piece of land in the year 1995 where a convent for the Sisters was built. Infant Jesus Nursery School for kids was started in this convent building on June 1, 1995 with 35 students on the roll. Slow but steady, the growth of the Institution gave rise to the Higher Secondary School. The Institution places on record the remarkable contributions of the Principals, Sr Leena Fernandes (01.06.1995 to 31.05.1996), Sr Hilda Goveas (01.06.1996 to 31.05.2002), Sr Gracy Pinto (01.06.2002 to 31.05.2011) Sr Anitha D’Souza (01-06-2011- 2016) and presently Sr. Marina Crasta. All labour that uplifts humanity has dignity and importance and should be undertaken with painstaking excellence. 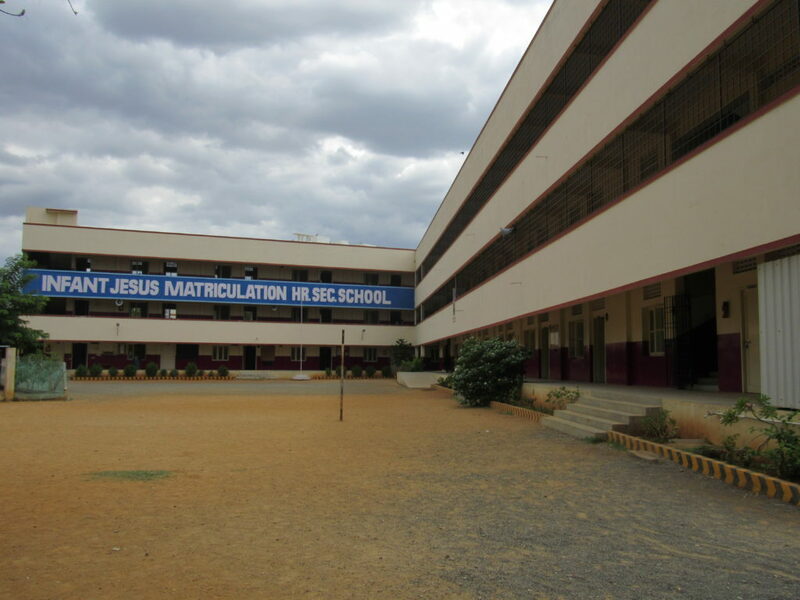 The unique selling point (USP) of Infant Jesus School is the good rapport the management has with the people, officials and schools in the neighborhood. A committed and dynamic staff, dedicated and thoughtful community members and talented and lively students are an added blessing. The heavenly blessings have been unlimited which have brought Infant Jesus School to the heights of glory. Sr Marina Crasta is from Arva in Belthangady Taluk, in Dakshina Kannada, Karnataka. She completed her Primary Education in Infant Mary’s Primary School, Nalkoor and St. Antony’s Primary School, Gardady in Belthangady Taluk. She did her High School education in Government High School, Padangady, Belthangady Taluk . She did her Pre University Education in St. Philomena’s College, Mysore and obtained her degree in Bachelor in Commerce (B.Com) in St. Philomena’s College, Master in Commerce (M.Com) through Manasa Gangothri , University of Mysore. She did her professional Studies in Bachelor in Education (B.Ed) through Indira Gandhi Institute of Higher Education, Coimbatore and obtained her Diploma in Journalism through Manasa Gangothri Open University, Mysore. 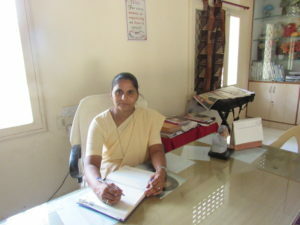 Sr. Marina Crasta first taught as a lecturer in St. Joseph’s Pre- University College, Hunsur, Mysore and then was appointed as the Principal of St. Joseph’s Pre- University College, Hunsur, Mysore. At present she is the Principal of Infant Jesus Matriculation Higher Secondary School, Chennai since 2016. Sr. Marina Crasta loves her students and works hard to develop reasoning in them and tries her best to bring out their dormant talents. She accompanies student through regular counselling which is the need of the hour. Having studied the local situation, the Sisters decided to go for holistic development of the marginalized through promoting literacy. Rev. Fr Vijay Kiran and Rev. Fr Vincent Monteiro, brother of Sr Edilburga Monteiro were instrumental in buying a piece of land in the year 1995 where a convent for the Sisters was built. Infant Jesus Nursery School for kids was started in this convent building on June 1, 1995 with 35 students on the roll. In the year 1999 permission was obtained for a primary school. As the classes increased year after year a suitable building was constructed in the year 2000 consisting of ground and first floors. Mysore Province to whose jurisdiction this Convent was entrusted financed the project. In the year 2005 the second floor was completed. Subsequently permission was obtained for secondary classes, VII – X. Slow but steady, the growth of the Institution gave rise to the Higher Secondary School. Permission was obtained for the Science stream with Computer Science and Biology as optional. The first batch of 24 students passed out with 100% results. 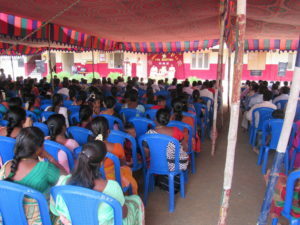 In the year 2010 a new block was constructed for the purpose of the higher secondary students. The Generalate and Mysore Province extended their financial support besides local funds. The magnificent infrastructure, good library, science labs, computer lab, digital class rooms are some of the attractive features of the campus. Neuro-Lingustic Programming is another specialty of the institution. 1,272 students get quality education which nurtures a life of meaning, purpose and durable values, including respect for all communities. The Institution places on record the remarkable contributions of the Principals, Sr Leena Fernandes (01.06.1995 to 31.05.1996), Sr Hilda Goveas (01.06.1996 to 31.05.2002), Sr Gracy Pinto (01.06.2002 to 31.05.2011) Sr Anitha D’Souza. (01-06-2011- ) and presently Sr. Marina Crasta . All labour that uplifts humanity has dignity and importance and should be undertaken with painstaking excellence. Being familiar with the socio-cultural situation of the place, learning and communicating in a language (Tamil) that was entirely new to them, the scorching heat, unending demands of the parents, knocking at the doors of the officials for license, permissions and recognition: all these were very challenging. Yet they have crossed these hurdles with determination and distinction. 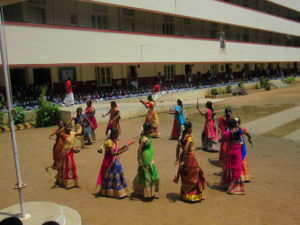 The unique selling point (USP) of Infant Jesus School is the good rapport the management has with the people, officials and schools in the neighborhood. A committed and dynamic staff, dedicated and thoughtful community members and talented and lively students are an added blessing. The heavenly blessings have been unlimited which have brought Infant Jesus School to the heights of glory. The school conducted cultural activities from 23rd January 2019 to 30th January 2019. 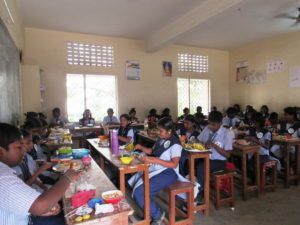 Food without Fire Competition was conducted to class 6th to 9th standard. 230 students took part in the event. It was a feast to the eyes to see students cooking variety of dishes. 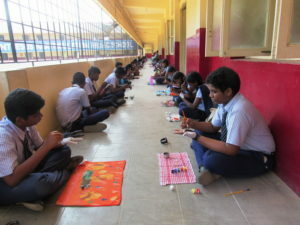 Rangoli Competition was organized of 23rd January. 90 students from class 7th to 9th standard participated, displaying beautifully their creativity. Poem recitation: Quite a number of students from class 1 and 2 took part in poem recitation competition on 24th January 2019. Children with their sweet smiles and movements rocked the stage. Mono acting competition was held for class 5th and 6th. The students beautifully displayed the theme of Save Nature. The students of the same class were also given opportunity for solo singing. The melodious voice of the children gave us a thrilling experience. 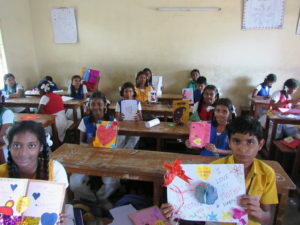 On the same day around 60 students of 8th &9th standard took part in hand painting. The beautiful painting work amused everyone. The students of 3rd and 4th standard had Thirukural Reciting competition on 25th January. 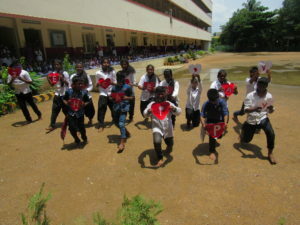 The students dressed as Thiruvalluvar were trying to outdo one another by reciting maximum number of Thirukural (Short poem) in the given time. 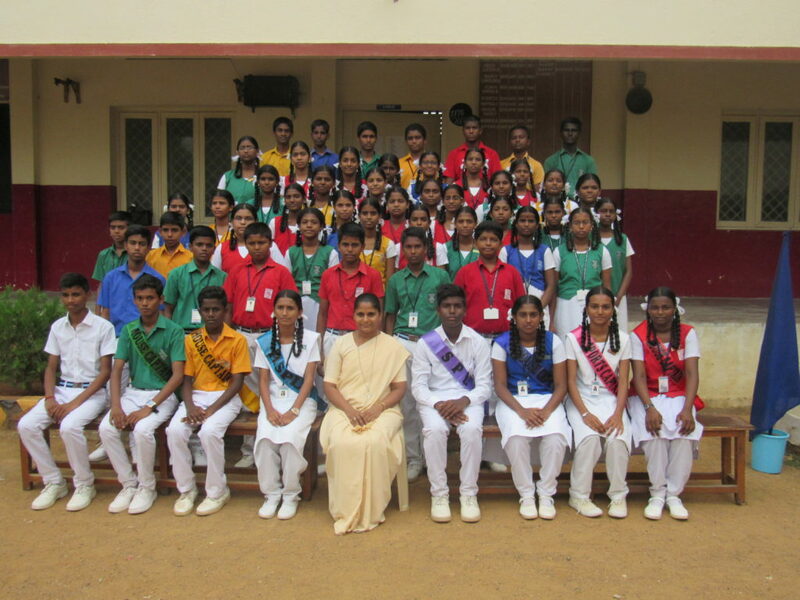 The students of class VII participated in Pick & Speak competition and of class VIII & IX in Elocution competition. The topic was on the constitutions of India. The students beautiful displayed their Oratory talent. The students of Class 6th to 9th participated in Mimicry. The style of imitation of students surprised the audience. We could identify Master Musicians of the future, as we witnessed Musical Instruments playing competition conducted for the same classes on 28th January. 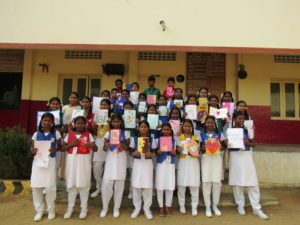 Around 35 students participated in Greeting Card making Competition on the theme ‘Mother’; the love of affection for their mother was vividly expressed, through the art work. 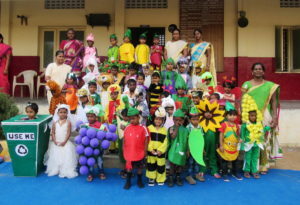 On 30th January, the KG children had fancy dress competition on the theme ‘Nature’, in three different categories such as Pre.KG, LKG and UKG. 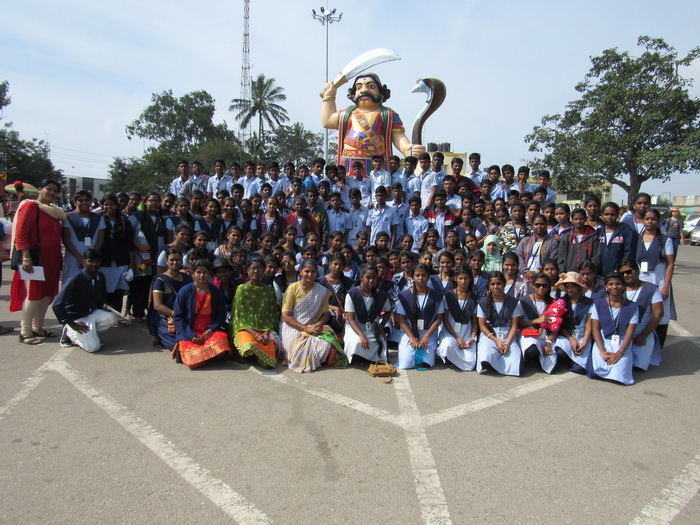 Around 190 students participated. The joy and enthusiasm of children was really marvelous. The students from LKG to 4th standard participated in drawing competition, and students of 5th and 6th standard participated in essay competition which gave everyone a chance to display their hidden talent. 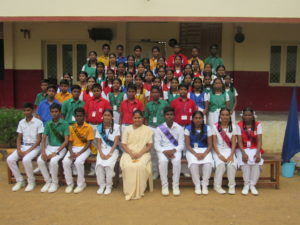 Sports: We organized various games class wise for boy and girls. 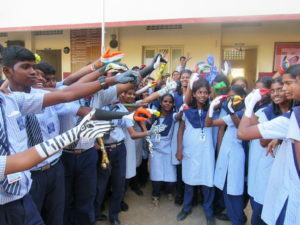 The winners were awarded with prizes. 21.12.2018: CHRISTMAS CELEBRATION: The Christmas celebration was organized on 21st December. The students along with Santa Claus danced and sang the Christmas carols. The enactment of the birth of Jesus and the crib was the centre of attraction. The teachers exchanged gifts with their Christmas friend and shared their joy. 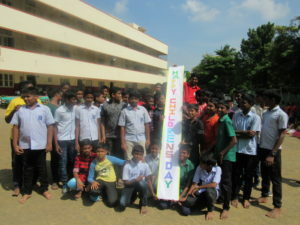 14.11.2018: CHILDREN’S DAY: The children’s day celebration was held on 14th November 2018. 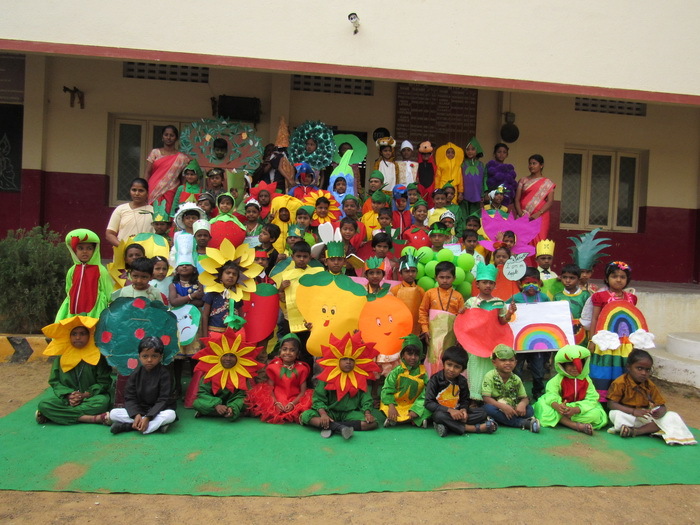 The teachers made the children happy with their colourful performance. 05.09.2018: The students celebrated the teachers’ day on 5th September, in a very grand manner by putting up a colorful cultural program and conducting a meaningful prayer service. 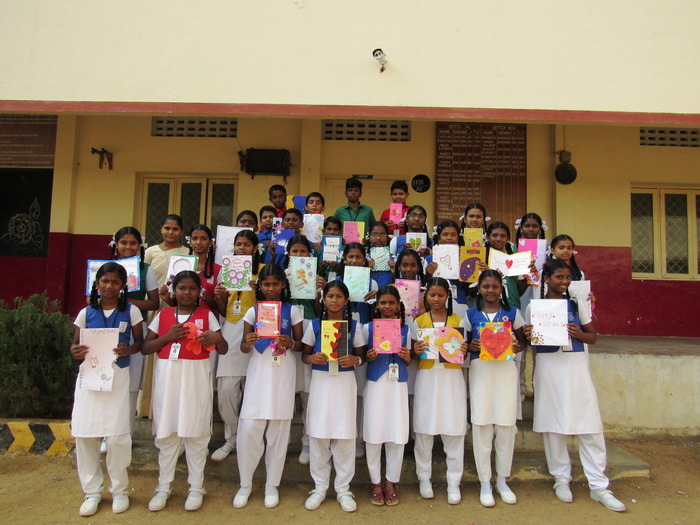 The students showed their love and affection by cutting the cakes, decorating the class rooms, distributing gifts and greeting cards as well as composing the songs. 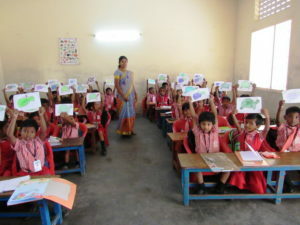 The teachers were filled with awe at the enthusiasm and surprises of students. 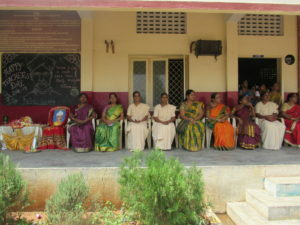 The school arranged half a day’s training program for the teachers. Sr Reshma Fernandes was the resource person, who gave input on student counseling, Rational Emotive Behavioral Therapy, Emotional Freedom techniques etc. The enthusiasm, joy and active participation of the teachers made the program a fruitful and successful one. 18.08.2018: On 18th August 2018, Parents –Teachers Association (PTA) meeting was conducted. Deputy Secretary Rev. Sr. Lilly Rodrigues presided over the meeting and spoke of the role of parents in the all round development of the children. Sr. Marina Crasta, the principal gave some information to the parents concerning the academic and administration issues. 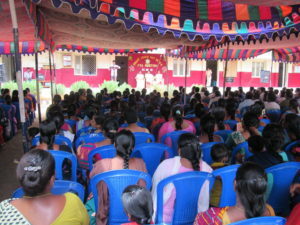 The parents gave suggestions and appreciation for imparting the quality education. About 600 parents attended the meeting. 30.07-01.08.2018: The students actively participated in the Novena to mother Mary from August 30th to September 7th, in preparation to the Nativity of the Blessed Virgin Mary. 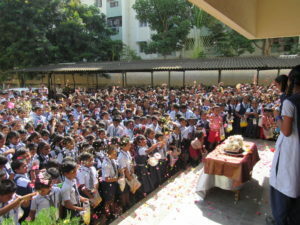 The students and teachers offered flowers to Infant Mary all the nine days irrespective of any distinction of religion. 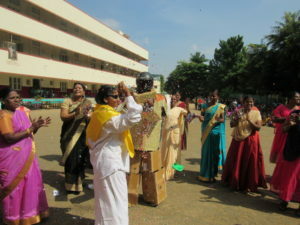 This prayerful celebration gave much joy to the children, as this custom is not practiced in other areas of Tamilnadu. 30.06.2018: On 30th June, 2018 Sr Marina Crasta the Principal of our school honoured and presented the badges to the school Pupil Leader and Assistant School Pupil Leader during the swearing – in – ceremony. It was followed by the teachers in charge of Houses presenting badges to their respective House Captains.